Apologies for the late posting as I have meetings and discussions from morning till 1pm. So, my lunch today, actually one of my best friends, is Nasi Goreng using Poni rice. Looks delicious right? 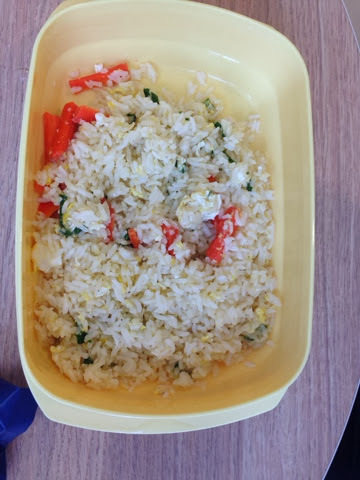 Simple and delicious Nasi Goreng. I will definitely ask the recipe and method of preparation.